How does the church understand the relation between its Scripture and its creedal formulations? 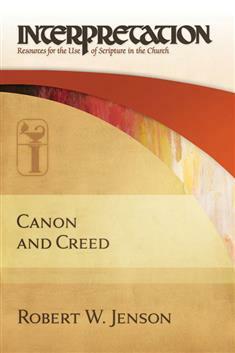 No one is more qualified to address that question than Robert W. Jenson, who shows how canon and creed work together and interact and that neither is an adequate or sufficient to guide Christian faith without the help of the other. His book will enable contemporary interpreters and teachers, pastors, and laity to deal with the questions and tensions that are always present as the church seeks to hold canon and creed together.